3) Identify the color of the bearing (e.g., white, red, blue or black) and select our corresponding part number from the chart below. 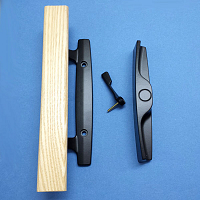 4) To identify any attaching brackets or accessories used with your balance, refer to pages 55-57. Note: Brackets and accessories must be ordered separately. 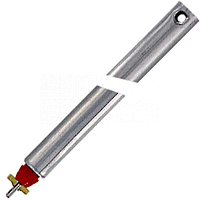 1) Maximum tube balance length available is 60". 2) White, red and blue bearings are for sashes weighing up to 30 lbs; the black bearing with nyclad tip is for sashes weighing up to 40 lbs. Please consult your sales representative for special ordering information. 3) The appropriate tensioning tools are 70-515 and 70-516.